Kate was born in Sheffield. She spent her formative years living in the Channel Islands and went to Goldsmiths College where she studied under Sir Ivor Robert-Jones. She took a post graduate qualification in foundry techniques and then worked in Poplar, making her one of the first women in the UK to work in a commercial foundry. Kate has worked for 40 years as a sculptor, working both on her own creative pieces and on private and public commissions. She has exhibited broadly throughout the UK and South Africa, and was elected to the Royal Society of British Sculptors in 1993. 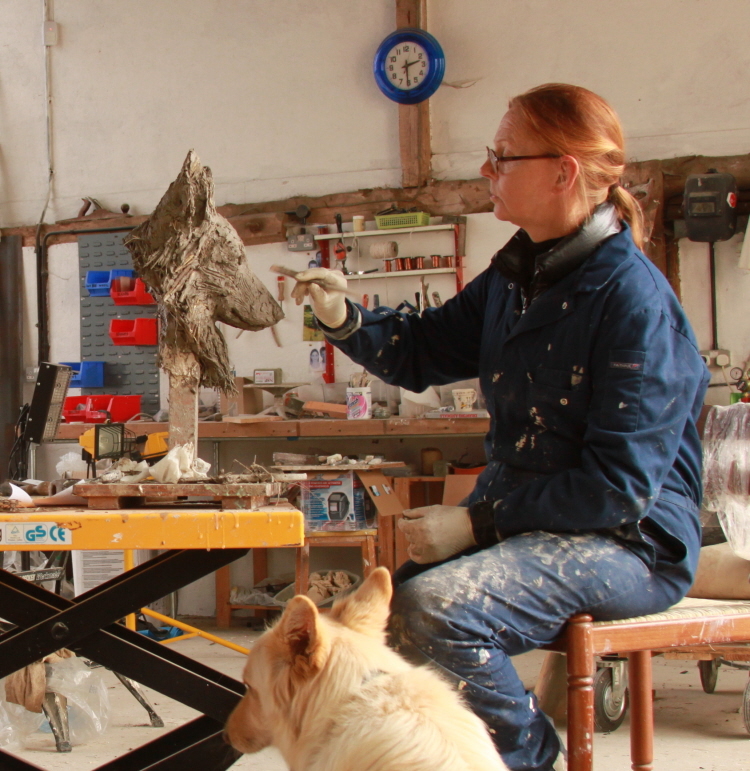 She lives in Lavenham, Suffolk, where she also has her studio and a bespoke exhibition gallery and sculpture garden. Visitors are very welcome by appointment.